Emby vs. Plex vs. Kodi - Which is the best media center? Emby vs. Plex vs. Kodi – Which Is the Best Media Center? If you’re just getting into cord-cutting, you’re probably wondering what media center is the best for your needs. There are a lot of different options available for streaming your media library to your devices, so deciding which system to use can be very confusing. Is Emby Right For You? Is Plex Right For You? Is Kodi Right For You? So What’s the Best Media Center? Compared to Plex, Emby is a relatively new media center. Emby, formerly known as “Media Browser” is an open-source client-server program. Development began in 2013 with Emby positioned as an open-source alternative to Plex. However, Emby has recently changed their model to remain competitive. The core Emby program is still open-source, but Emby apps for smartphones, tablets, and personal computers are closed. Like Plex, Emby has begun introducing features that require a premium subscription. The main features of Emby are quite similar to Plex’s. This is not a coincidence. Emby began as an alternative to Plex, so it focuses on media storage, multi-device streaming and live TV streaming. Using Emby, you can access your media files (photos, music, movies, and TV shows) through the web. Emby attaches metadata (artwork, descriptions, and information about movies, TV shows, music) to your files. This makes it easy for you to keep your downloaded media organized, and provides a centralized database for all of your digital content. Compared to Plex, Emby is a bit more customizable. You can micromanage metadata like artwork and subtitles, to ensure that all of your digital content is properly labeled and organized. However, it’s somewhat harder to use. The primary purpose of Emby is to allow you to stream content from your PC to a variety of different devices. While the Emby server runs on your PC, you can use a variety of client devices to access all of your computer’s digital content. The Emby Media Server also supports remote content streaming. This lets you stream media from Emby on any wireless network, even if you are not at home. However, the remote streaming feature requires a premium subscription. Emby supports live TV streaming through a digital OTA antenna. With an Emby Premiere subscription, you can also use a compatible DVR to record live TV broadcasts. Live TV is one area where Emby has a clear edge over Plex. Though Plex supports both live TV and DVR functionality, both require a Plex Pass. Without a Plex Pass, you can’t connect an OTA antenna to Plex at all. With Emby, you can watch live TV even without an Emby Premiere subscription. You just won’t be able to use a DVR to record broadcasts. This is another area where Emby is better than Plex. You can access your Plex library on Kodi with the recently-released Plex add-on. However, Emby has much better Kodi integration compared to Plex. The Emby add-on for Kodi allows Kodi to scrape your entire Emby database for movies, TV shows, music, and more. After the scrape is complete, your titles are added directly to your Kodi database. Importing your content lets you simplify your media center, and bring together the functionality of both Kodi and Emby. Plex, on the other hand, does not integrate well with Kodi. Plex libraries are only accessible from within the Plex add-on. Though you can view all of your Plex content within Kodi, the Plex add-on cannot integrate your content directly into Kodi. Emby supports third-party extensions. These extensions are known as plugins, and are developed by the community to add more functionality to Emby. You can install plugins directly from Emby, by clicking the Plugins menu on the server dashboard. Because Emby is much newer than Plex and Kodi, its selection of third-party extensions is not as diverse. Plex and Kodi both have a much larger variety of extensions. Here is an Emby forums link with a list of some of the available plugins. As you can see, plugins are mostly limited to functionality modification, such as metadata acquisition and cloud file syncing. Unlike Plex and Kodi, Emby has few video streaming plugins. There are Emby apps available for most modern software platforms and devices. You can install the Emby Server on Linux, Mac OS X, or Linux systems. With plenty of well-designed, easy to use apps, you can use Emby to stream content on just about any platform. 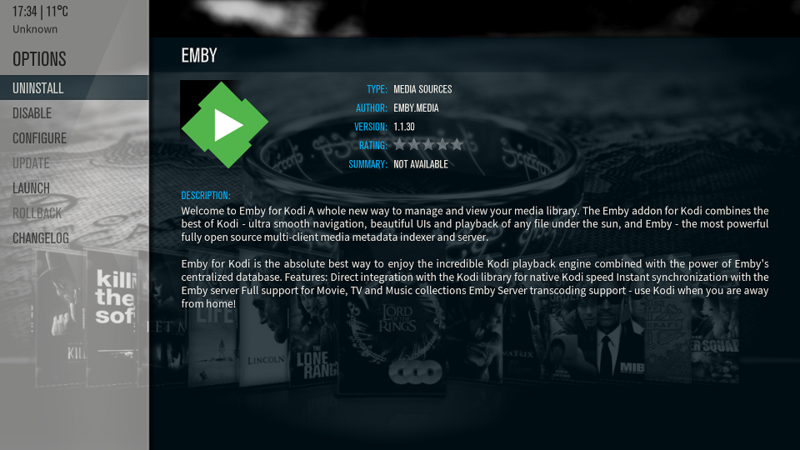 If you want a more customizable alternative to Plex and are interested in strong Kodi integration, Emby is a good choice for you. However, customizing Emby takes a good deal of technical know-how. It’s also not as easy to set up, compared to Plex. If you are a newer cord-cutter and have never used a media server before, Emby is probably not the right choice for you. We recommend Plex instead. Plex has been around since December 2007. Originally, it was developed as an alternative to XBMC – which is now known as Kodi. In fact, the original Plex program was a “fork” of XBMC, developed as an OS X version of XBMC. Today, Plex is one of the most popular media centers around. It has a simple user interface, advanced features and an easy installation process. Plex is built to provide you with a way to organize and stream your digital content throughout your home. Here are a few of its main features. Using Plex, you can organize, label, and store all of your digital media in a single place. With Plex “Libraries”, you can set up individual media libraries for movies, TV shows, music, and photos. Plex automatically pulls metadata for your digital files from the internet. This means that Plex fills out your media libraries with the proper artwork, film and episode information, and other data. This keeps your files organized in a single, easy-to-browse location. Plex is built on a “server-client” model, like Emby. You download the Plex Media Server and install it on your computer. Then, you can use “client” apps on a variety of other devices, such as televisions and tablets, to stream your content across your local network. Like Emby, Plex also supports remote streaming from non-local networks. However, Plex does remote streaming better. Remote streaming on Emby requires quite a bit of setup, whereas Plex servers can be accessed remotely simply by signing into your Plex account on another device. Plex recently announced support for Live TV & DVR functionality. Live TV on Plex works very well, and integrates seamlessly with your existing media libraries. Unfortunately, Live TV & DVR on Plex are currently only available to Plex Pass subscribers. This means you’ll need to pay a monthly subscription in order to watch TV on Plex, unlike Emby or Kodi. If you are a Plex Pass subscriber, you can sync selected pieces of media to a device like a smartphone or a tablet and watch your media offline. While Emby offers device syncing to Emby Premiere members, Emby does not currently support iOS devices – so Plex has the edge here, as well. However, it’s important to note that some of these apps are in Beta, and only available to Plex Pass subscribers. In addition, the mobile iOS and Android app do not come with full functionality enabled. In order to unlock the Plex iOS and Android apps, you need either a Plex Pass or you have to make a one-time purchase. While the cost of unlocking the app is quite low ($4.99), this makes Emby a more appealing choice if you are looking to save money. Plex has a huge selection of third-party extensions, known as channels. With channels, you can expand the selection of media available on Plex. Plex allows you to install a variety of pre-approved channels directly from your Plex Media Server. Simply open Plex, navigate to the sidebar menu, and click Channels → Install Channels. From there, you can browse hundreds of channels that let you stream TV shows, movies, radio, music, and more. If you want to further customize Plex, you can download the Plex Unofficial App Store. The Unofficial App Store has even more channels. However, many contain copyrighted content. To protect your privacy while using unofficial Plex apps, we recommend you use a trusted VPN like IPVanish. If you are a novice cord-cutter and you already have a large library of digital content that you would like to organize, Plex is a good choice. It’s easy to use and intuitive, and you can extend its functionality with Plex Channels. However, you will probably have to pay for the iOS or Android app, unless you sign up for a Plex pass. If you want to save money and are willing to spend some extra time configuring your system, Emby may be a better option. Kodi may also be a better choice if you do not have a large collection of downloaded movies and TV shows. Though Plex has many free internet video streaming extensions, Kodi is better for streaming content from internet sources. Kodi was originally known as XBMC, and traces its history all the way back to 2004, when it was first developed as a comprehensive media center for the original Xbox console. Unlike Plex and Emby, Kodi is not designed for streaming content over a local area network. Instead, it’s built to organize and play local content stored on hard drives, local NAS devices, and attached USB drives. Kodi can also stream digital content directly from the internet, using third-party extensions known as “add-ons”. Let’s examine Kodi’s features now. Like Plex and Emby, Kodi also has powerful media organization features. By using online “scrapers” that collect metadata, Kodi can organize your TV shows, movies, and more. However, organizing your media takes some extra work compared to Plex. As a media player, Kodi really shines when it comes to supported file formats. Kodi supports more file formats than both Emby and Plex. Kodi can even play Blu-Ray discs, DVDs, and relatively uncommon file formats such as .ogg, RealMedia, and VIVO. If you have a lot of video content that you don’t want to convert into different formats, such as .mp4 or .mkv, Kodi is the best choice. With an OTA antenna and a DVR, you can watch and record live TV on Kodi for free. If you don’t want to pay for a Plex Pass or an Emby Premium membership, but you still want to watch live local TV channels, Kodi could be the best solution. 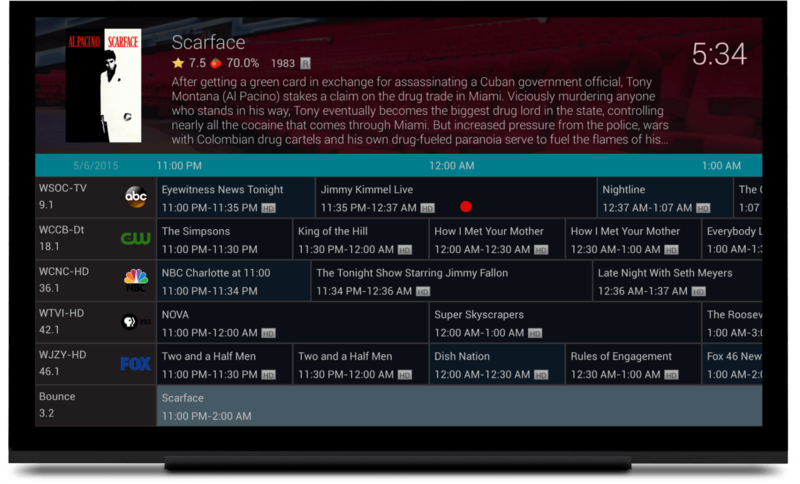 You can customize Kodi to be compatible with universal remotes, modify it with custom skins, and change just about every “under-the-hood” setting imaginable. If you’re a tinkerer and love customizing software, Kodi certainly delivers. If you’re looking for an expandable media center, look no further. Kodi wins hands-down. While Emby and Plex both have support for third-party extensions, neither app provides as many options as Kodi. There are literally thousands of different add-ons available for Kodi. Kodi add-ons are community made, and you can install them on Kodi to change its functionality. They can change how metadata and subtitles are displayed and how Kodi looks and feels. You can even use Kodi add-ons to integrate Plex and Emby into Kodi, making it a great all-in-one media center. Video add-ons are where Kodi really reigns supreme. Using third-party Kodi video add-ons, you can easily watch movies, TV shows, live TV, and sports directly on Kodi. Additionally, Kodi is absolutely free on every platform. You don’t have to pay for a subscription, or pay to download apps. Every feature is available and you don’t have to spend a single cent. Kodi is extremely customizable and powerful, however it can be hard to understand how to use Kodi properly. It takes a while to figure out how to install add-ons from third-party repositories. Additionally, Kodi’s user interface is not very intuitive. While there are many guides and resources available to help you setup Kodi, it’s not ideal for total cord-cutting novices or people without any technical skills. 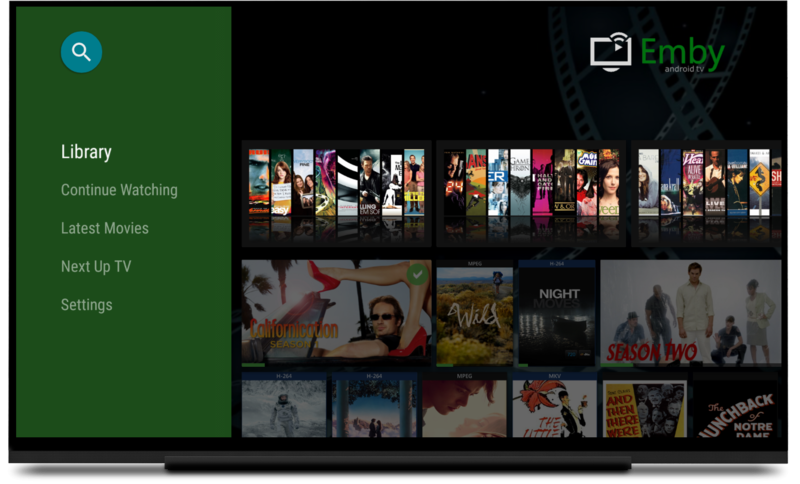 If you are interested in an easier-to-setup media center, we’d recommend Plex. However, if you’re willing to take the time to set Kodi up properly and extend its functionality with third-party add-ons, you’ll probably like it. The answer depends on what you want to use your media center for, the type of media you want to stream, and your technical abilities. Plex is the best media center for total cord-cutting novices. It’s incredibly easy to install, yet offers powerful, extendable functionality. If you want to get started in the world of cord-cutting but aren’t sure how, start with Plex. Emby is a good choice if you’re a Plex user who wants to try something a little different. Emby is cheaper than Plex but it lacks many useful third-party programs and is a bit more difficult to set up properly. Kodi is a good choice if you are interested in a very customizable, versatile HTPC system. Using Kodi requires some technical skills and patience. You will have to learn how to install third-party add-ons, troubleshoot non-working add-ons, and modify some system files and settings. If you’re up for that, Kodi is an excellent choice. But here’s the good news – you don’t have to choose! The basic features of Emby and Plex are free to use, and Kodi is 100% free as well. Test each one of these media centers out, see for yourself which one you like the best – and let us know what you think in the comments section below!